d) Prefinished Oak Pairmaker. The only items that you may need, but aren't supplied is the architrave, and door handle / latch. 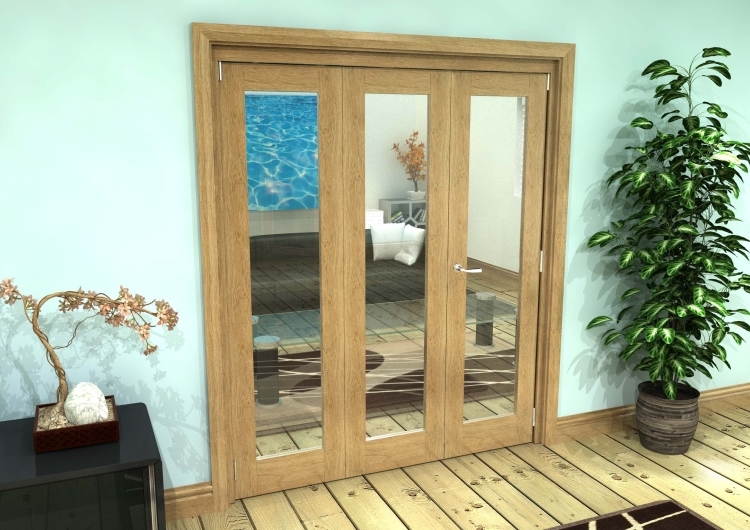 These sets are an ideal, robust, and well engineered solution to creating an internal bifold door system to meet your needs. These sets can be trimmed in height and width. Please give us a call for advice.